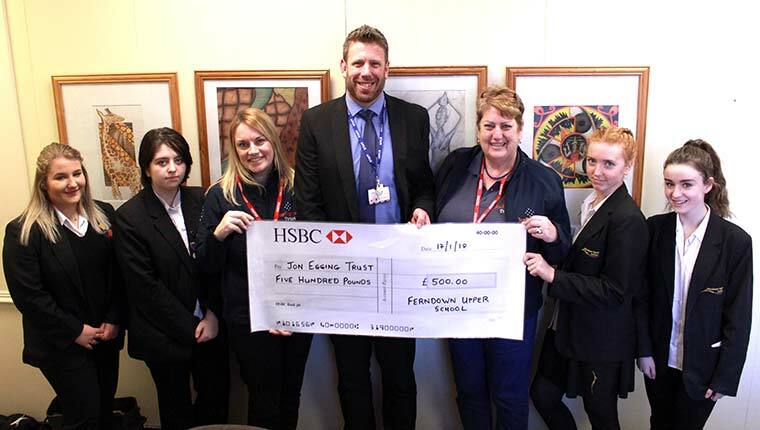 A Dorset school has said a big thank you to the Jon Egging Trust by raising £500 to support the ``marvellous`` work of the organisation. Flt Lt Jon Egging lost his life whilst completing a display at the Bournemouth Air Festival in 2011 and his trust has been set up to enable staff and volunteers to work with young people on accredited programmes which will help to increase their self-confidence and enable them to reach their full potential. Ferndown Upper School students have benefited from some of these programmes and students have made comments such as: ‘the teamwork day was amazing – I feel like I know what I can achieve now’ and ‘I felt hopeless at times before but now I feel much happier and have made new friends’.